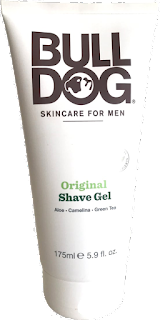 The packaging for the gel is in a modern squeezable tube with a flip up cap. It looks way better in the den than the metal shaving cream does. I never liked the look of them when they get all nearly be the end of use. The product come out really easy and applying one needs to use your fingers to massage it into your face but of course, I tried to bowl lather with it as well just to see what would happen. Of course, they know the product so I would rule out bowl lather but I think it did a better job than the cream ever did. After getting the lather bowl out of the way I placed a liberal amount in on my fingertips and started to massage it into my beard. I did see the start of lather but it quickly disappeared and then came back and disappeared again so I’m sure the product is not known for its lather abilities but more in the slickness category so that’s how I’m judging it. I had my new Rockwell Model T already and I started to shave. In about a min I noticed the same damn thing about this gel that the cream offered and that was no slickness no gild no protection. This is the point where I slowed down my shaving to a crawl and really took my time. I even stopped at my mustache to apply more gel because anything was gone vanished! I could feel the razor getting closer to my skin with every stroke I took it was scary and when I was done I was glad it was over. In my mind, I was wondering did I created new ingrown hairs oh man that was painful the last time it happened. But nothing became of it and I was lucky this time. So, I didn’t have a great shave, in fact, it was horrible. This offered no protection of any kind. My advice is to leave this product on the shelve with its counterpart the shaving cream. 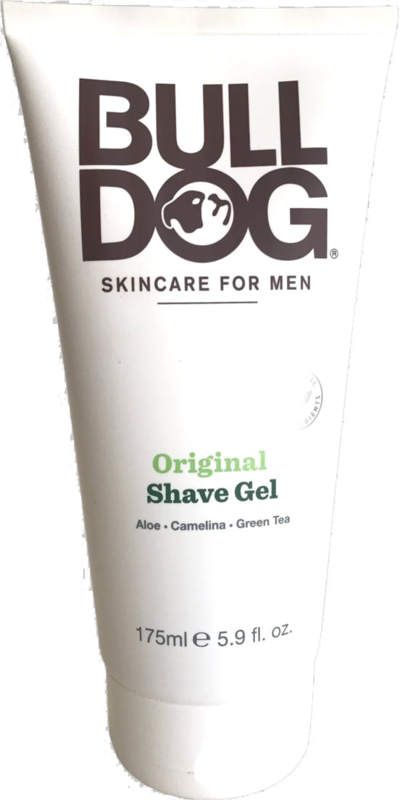 For a time, I thought our local drug stores were going to start to carry wet shaving products but it hit its peak last year and now what was on the shelves has turned to beard products because that was the new trend and big dept. stores always look for the trends. So, save your money and buy an artisan shaving soap instead you’ll have a better time, a better shave, and you’ll be helping out the wet shaving community as well. Have a great shave!